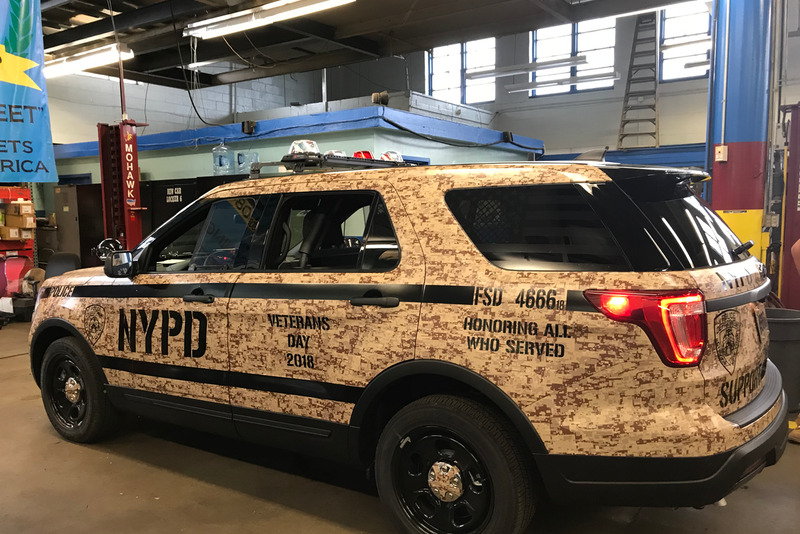 The New York Police Department produces a number of wrapped police cars to celebrate various holidays and causes. These range from the more common, such as October's Breast Cancer Awareness month, to more uncommon wraps, such as Rare Disease Day on Feb. 28. The Fleet Services Division designs and applies all graphics to the vehicles. After the month that identifies each vehicle ends, fleet staff remove the graphics.